Fw: Dryad first week ! Not much to see for the moment but am looking forward to finish 1 page every 10 days or so, I like to get myself targets ! Afternoon Tea. 4 of 30. 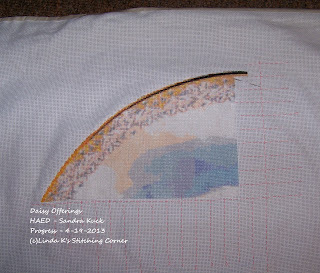 Here is a picture of Daisy Offerings - My weekly Progress picture of her as of today - 4-21-2013. 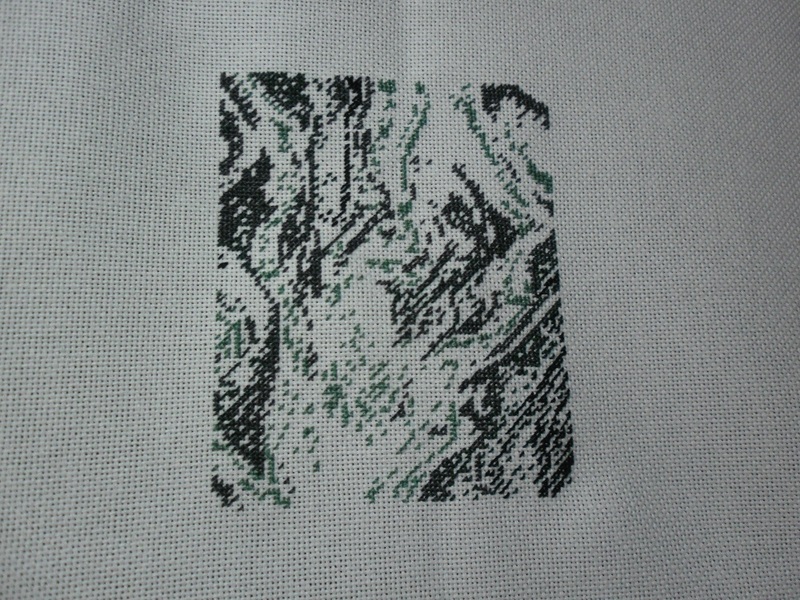 2 over 1 Full Cross Stitch. 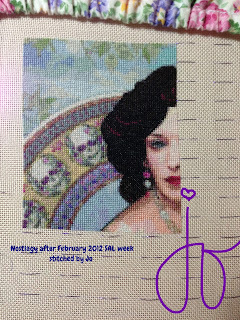 I have finished another Column this week and I have started on another Column. I am at my half way mark now on Page 3 out of 36 Pages. 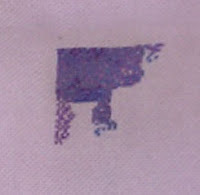 Project is Touching the Hem of God, 1 over 1 on 25 count, full cross. So Lucia is my 20th HAED finish to date, all smalls though as I still haven't finish the elusive BAP yet! 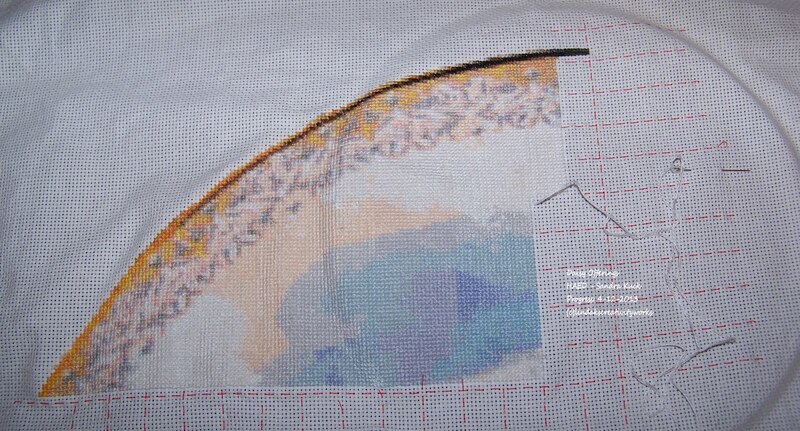 I apologize for not updating for so long, but I've been stitching in several charts and I think my progress were no enough to show you. Last weeks I have advanced and here are my progress. QUEEN OF HEARTS: I love it. I think it's one of the most beautiful charts on the world. 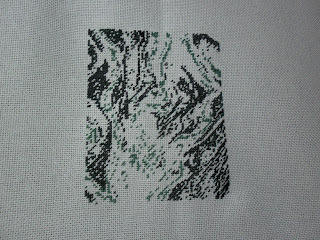 Now you can see the face, and I hope to stitch very quick to see it finished. (Lugana 25, 1 over 1). Thanks to the few that have responded/commented to my post. I am going to go through the membership list this weekend. Anyone that hasn't posted in the last 6 months will be removed. I will then offer full posting membership to buddies, in order. This will take some time. I'll post again when I can update you with more information. 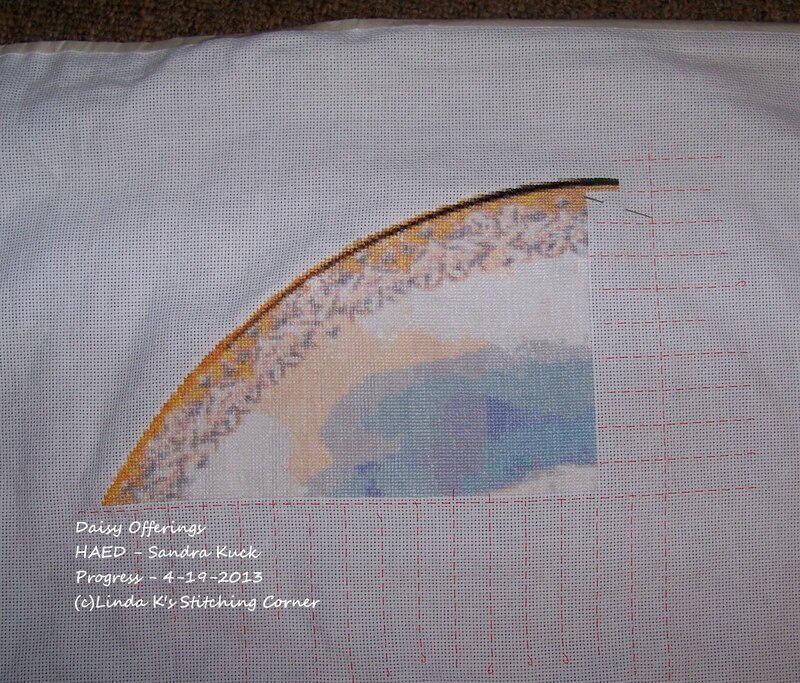 Daisy Offerings - HAED - Sandra Kuck - I am stitching this on 18 Count White Charles Craft Material 2 over 1 Full Cross Stitch. I am almost done with a Column. I am on Page 3 out of 36 Pages. 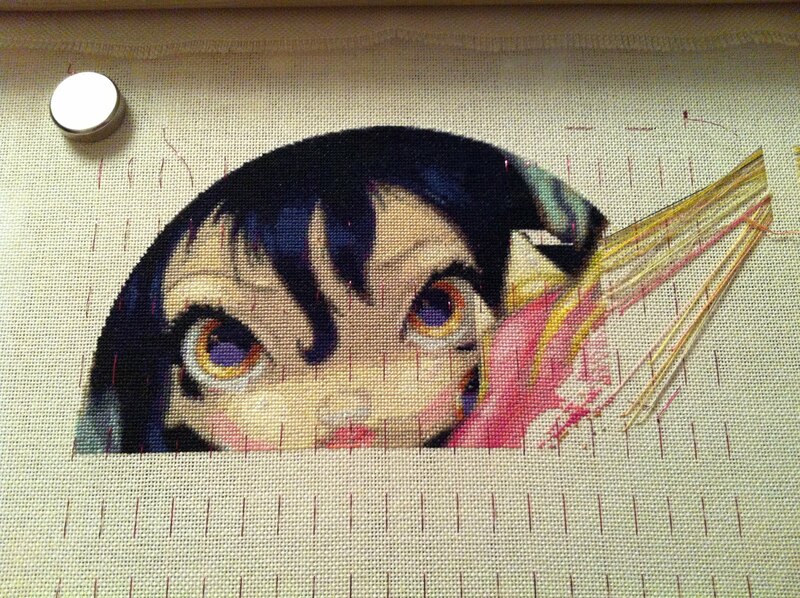 I am really enjoying stitching her. She is still growing. Almost finished her dress now. Yes, a week since my last Admin post, and I haven't received a single email from any member. Should I take this to mean that none of them are coming to the blog? Not even to read the posts? 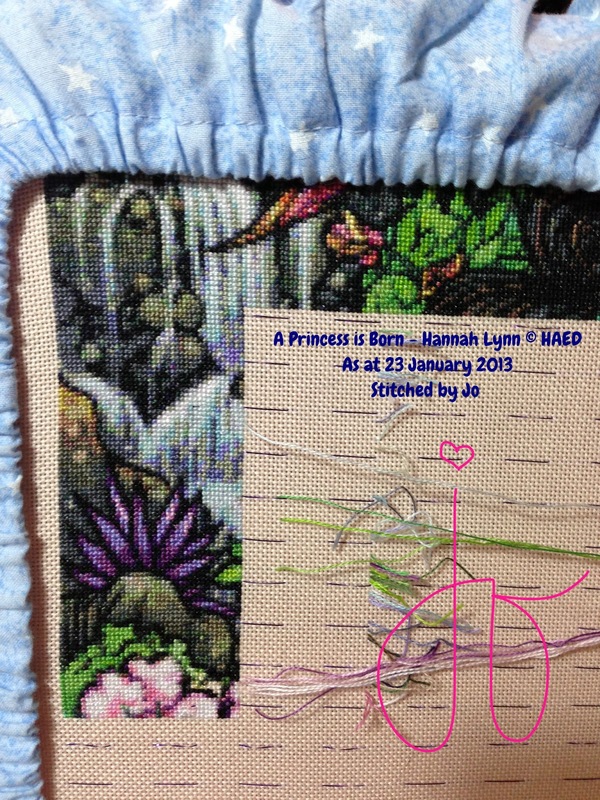 I haven't had much progress on any of my HAED's lately. 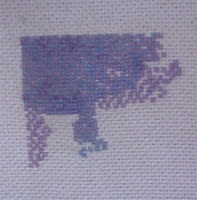 But I thought I would share where I am on a couple of my pieces. I noticed that I haven't posted these updates yet. I sent my Wizard of Oz out for an UFO Round Robin, and some really great progress was made! Thanks for looking! I am hoping to get some time in on Curl Up soon. 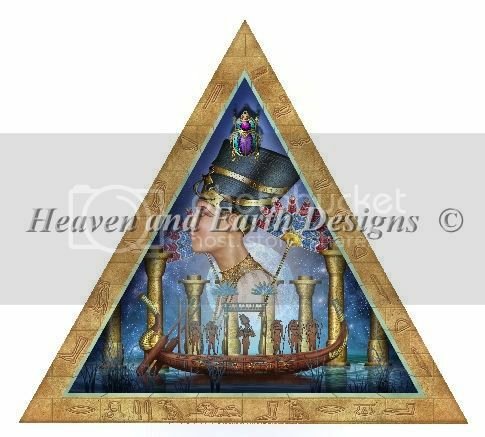 I thought I'd share with you the new start that I have begun in honour of our upcoming (slightly delayed) honeymoon to Egypt. I know it doesn't look like much yet...but hopefully the next update will look a little more impressive. 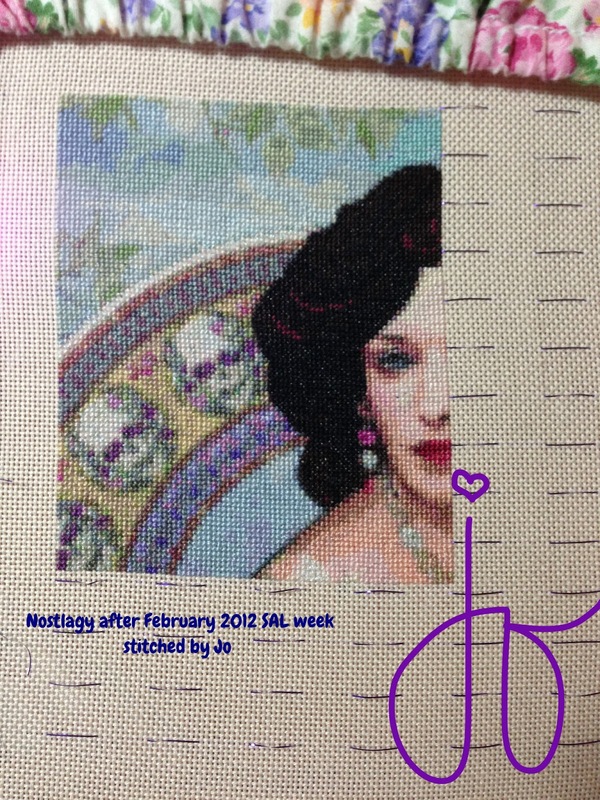 It's stitched on 25ct Magic Guide 1 over 1. Thanks very much and see you when we get back! Sorry I haven't posted for a while but here's my latest update on Mini Lucia by Myka Jelina now I have finished 6 pages, with only 2 pages left to go (one full and one partial). Hope you all like her as much as I do!?! It's that time again! We need to do some housework. There are many members that haven't posted in a long time. I know life gets in the way, I have my hands full with Admin here, on the BB, and on Face Book. With so many requests to join, it's unfair to have an enormous list of buddies, while full posting members aren't posting. With over 100 full members our blog should be very busy. So the first step of the cleanup is this. If you haven't posted in a while and are willing to give up your slot as a posting member to a more prolific stitcher, please email me and let me know, do not comment on this post, email me. We'll see how many slots we can open this way. I will, of course, let the buddies know that they may move into a full posting slot in the order in which I received their initial requests. So first into the buddy list will be first into the full member list, and so on. I'll let you all know where we stand in one week's time and if we need to take more steps in the clean up. BTW: Buddies, when you email your post please be sure to add your name to the body of your email! No one will know who posted what, if you don't. Also include the title of the chart which you are posting. Stats would be good as well. 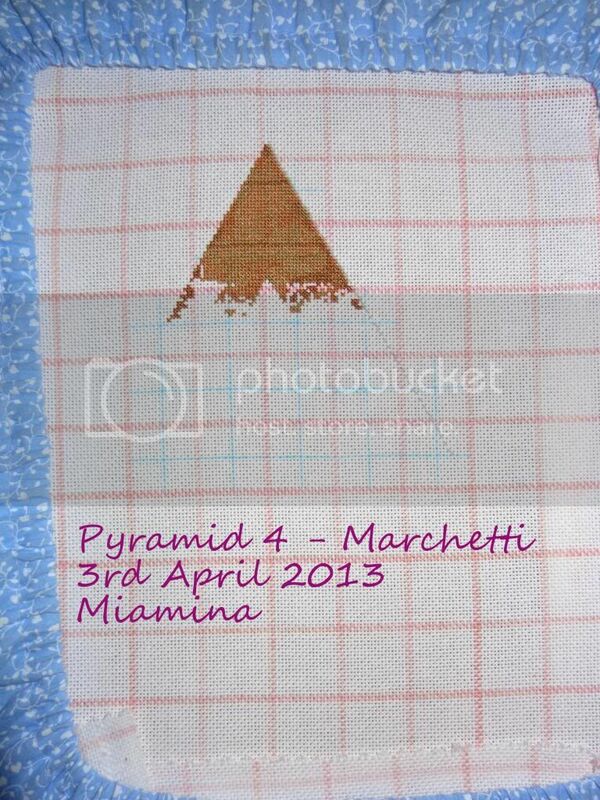 Fabric type & count, floss type, silks, DMC, etc.